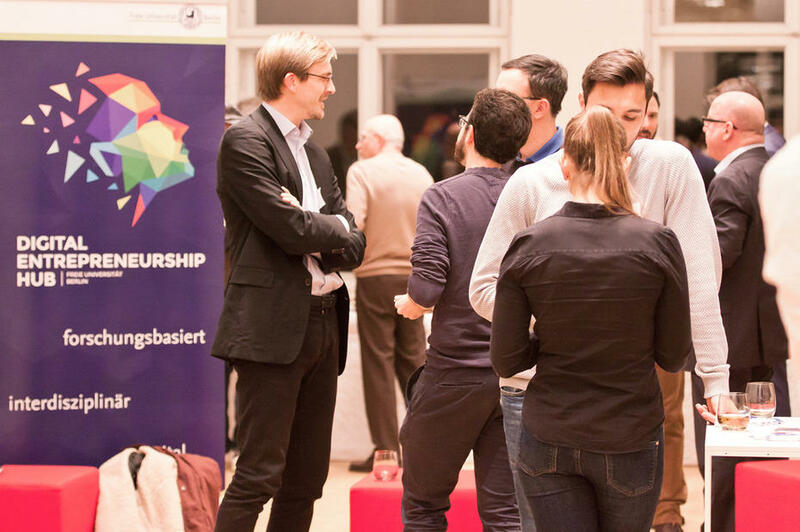 On November 7th 2018 the Digital Entrepreneurship Hub successfully hosted the event entitled „Digital Startup Ecosystem on Health and Bio Data“ within the framework of the Berlin Science Week at the Einstein Center Digital Future (ECDF). Approximately 50 participants joined Professor Sirkka Jarvenpaa (McCombs School of Business) and Professor Hannes Rothe (Freie Universität Berlin) on their discussion on the influence of interlinked Health Data on entrepreneurial activities. Besides the keynote talk by Professor Jarvenpaa, the evening event invited participants to discuss with panelists from health and bio data infrastructures KV Telematik and ELIXIR as well as the start-up Vivy. Due to new digital infrastructures in health bio-, genomics-, and health-data become available for novel products, services, and business models. Digitization has become nearly synonymous with platforms and generativity of information systems. Generativity is associated with growth, fluid and porous boundaries that engender new unforeseen uses and users. Sirkka L. Jarvenpaa explores generativity from a data perspective. Specific examples relate to linked health data infrastructures that are being built in various medical genetic initiatives that combine genetic data with health, real world behavioral and sensor data. In the discussion a number of tensions in these emerging data infrastructures were examined including value capture from data vs. technology, short-term vs. long-term goals, local vs. national vs. global, public vs. private holders/guardians, and centralized vs. distributed design. The return from massive public and private investments in these initiatives requires a better understanding of these tensions and how they both increase and limit data generativity. Additionally speakers from industry and start-ups enriched the lively debate with the event participants. Dr. Florian Fuhrmann (CEO, KV Telematik), who has by now been working in the healthcare market for more than 14 years, mostly in the field of ehealth, health care‐IT, managed care and in- and out-patient care. 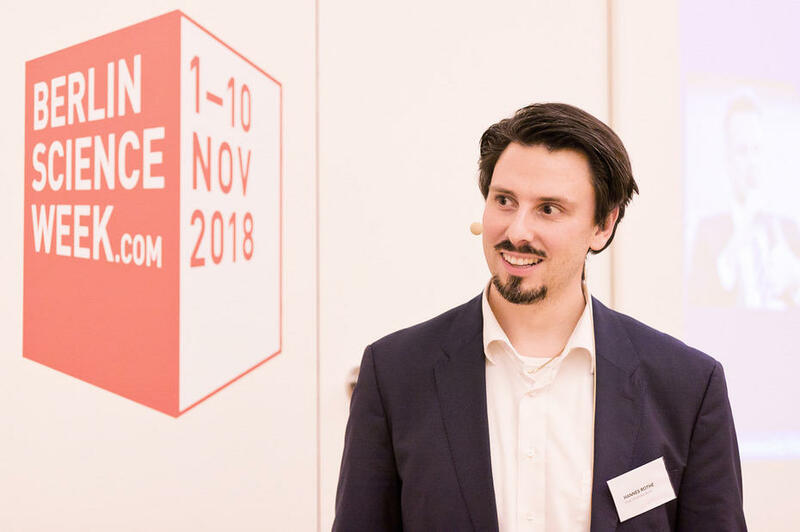 Christian Rebernik (CEO, Vivy), who is entrepreneur and by heart product and tech enthusiast, as well as mentor and coach of several startups. And Dr. Katharina Lauer, who is the Industry Officer for ELIXIR – an intergovernmental organization which coordinates digital infrastructures in bioinformatics and genomics across 21 member states and more than 180 organizations. What do standards mean for innovative startups in healthcare? How can strictly regulated health care markets in Europe be approached) by startups (particularly in Germany)? How can a start up revolutionize a strictly regulated health care market with innumerable (Failed) trials for introducing digital patient records? What are the ways to transfer data from physical to digital media- for bio and life science research vs. clinical healthcare? How can we manage trust in data, trust that it is treated with your consent in the right way? How is the data quality different in an open data space vs. private health care? Do we have an imbalance of power from players in the ecosystem? Are US private companies going to overrule Europe for health data and care provisioning? After the panel discussion the audience subsequently had the opportunity for interactive exchange and networking in a relaxed atmosphere. 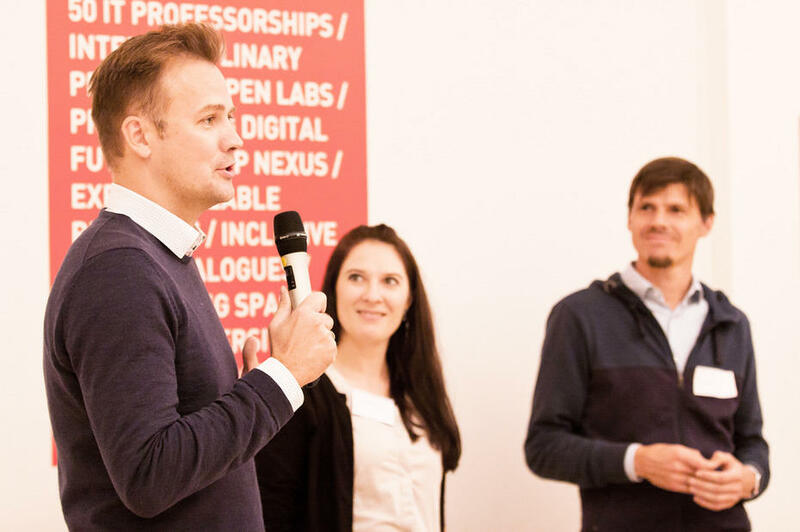 We thank all participants and are already looking forward to the next „Digital Startup Ecosystem“ event. After the panel discussion the audience subsequently had the opportunity for interactive exchange and networking in a relaxed atmosphere. We thank all participants and are already looking forward to the next "Digital Startup Ecosystem" event.